Italian Bonfiglioli was founded in 1956 and is among the world’s largest gear and gear motor manufacturers with representation and service worldwide. Bonfiglioli has own factories and BEST partners in Europe and retailers worldwide. Since 1995 Trasmital has been part of Bonfiglioli. Bonfiglioli offers solutions for wind, mobile, industrial and photovoltaic applications. Brd. Klee is Bonfiglioli BEST partner. BEST means that the production of industrial gears moves out in the key markets letting Bonfiglioli get closer to the end customer. We offer assembly and conversion of helical, bevel, flat, worm and planetary gears up to 100,000 Nm from our own workshop with very short delivery time. German Vectron is since 2001 part of the Bonfiglioli Group. The company develops and manufactures inverters and servo applications, primarily in Germany, for speed control and dynamic applications. Brd. Klee has the Danish sale of the small Tecnoingranaggi precision planetary gears with low backlash. Tecnoingranaggi was incorporated in 2003 in the Bonfiglioli Group. All production takes place in Italy. Brd. Klee is Danish distributor of Concens Inline actuators, controls and accessories. Concens is a Danish manufacturer located in Esbjerg, where assembly of actuators and accessories take place. The company was founded in 2003 and exports worldwide. Brd. Klee is Danish distributor of Dreno pumps. Dreno Pompe is an Italian company that develops submersible pumps and accessories for treatment and management of water. The company offers a wide range of pumps up to 50 kW. German Elbe-Elso is among the world’s leading manufacturers of cross and universal joints and drive shafts, and has production facilities in Germany, USA, Brazil and Hungary. The company’s products are used in construction equipment, agricultural machinery and other vehicles, printing machines, woodworking machines etc. Italian Elcis was founded in 1974 and manufactures a wide and complete range of encoders in both linear and absolute versions. Elcis has patented a special micrometric adjustment inside the encoder (Micro Level). Brd. Klee has the Danish distribution of the Elcis program. Brd. Klee has the Danish Elesa + Ganter agency. Elesa is Italy’s largest manufacturer of plastic handles and accessories. Ganter is the leading German manufacturer of machine elements in metal. Elesa and Ganter has a longstanding cooperation and offer the world’s largest program in standard machine elements. Did you know that we at Brd. Klee assemble adjustable handles from Elesa+Ganter ourselves? By assembling adjustable handles we can shorten the delivery time and offer more colours, styles and sizes than ever. It is possible to get print or laser engraving with your own text on the handles. Fluro Gelenklager was founded in 1976 and is a family run German manufacturer of rod ends, bearings and accessories. Brd. Klee offers Fluro’s wide selection of rod ends and spherical bearings of Series E and K. Also for motorsport where requirements regarding durability are extra high. Lately heavy duty rod ends have been introduced. Contact Brd. Klee for special solutions. Gates is the world’s largest manufacturer belts of and is a leader in hi-tech rubber belts. With European central warehouse in Belgium Gates can supply across Europe at very short notice. Gates Mectrol is part of Gates-family and produces polyurethane belts. Brd. Klee has the Danish distribution of English Hepco Motion, which since 1969 has been the leading manufacturer of linear technology. Hepco Motion offers a very wide range of high quality linear motion parts that only few can match. If standard products cannot be used, customer specific solutions are offered. Did you know that Hepco invented the V-bearing principle used in DualVee? Due to its unique form the V-bearing is more resistant to dirt than other bearings for linear guides. Today, the V-bearing is also supplied in a low temperature version that can be used in sub-zero temperatures. Italian Icme Motors is situated in Fusignano in northern Italy. Since 1997 Icme is part of the Lafert Group which also includes AEG. Icme produces small and medium size AC motors and has supplied motors to Brd. Klee since the late 1990s. KLEEblower side channel blowers, turbo blowers and rotary vane pumps are our own range of high quality items developed and tested in collaboration with our Taiwanese trading partners for many years. KLEEcoisl are manufactured in Germany or the USA for Brd. Klee according to the newest ISO-standards. KLEEcoils include a complete program of self-cutting types,reduction types, self-locking types etc. for aluminum, steel, sheet metal, wood and plastic. KLEEdrive is our range of A-C motors in aluminum and cast iron. The motors are manufactured in Asia and are available in IE2 and IE3 models, with and without increased power, with marine approval, etc. Test reports on efficiency are available and the motors have been succesfully tested by the Danish Technological Institute. The company is synonymous with disc spring technology at the highest level. The products are among the best in the world and are manufactured to the highest quality. Everything is produced in Daaden in Germany in a combination of know-how, modern quality control and decades of experience. Norma was founded in 1949 in Germany by the Dane Jørgen Skafte Rasmussen under the name of Rasmussen GmbH. After a series of mergers including ABA Group the company is part of the Norma Group and operates worldwide. Norma’s products are used everywhere, for example in automotive, marine and offshore applications, recycling and supply. Japanese NSK, founded in 1916, is the world’s largest bearing manufacturer. Brd. Klee is distributor of a wide range of deep groove ball bearings, spherical bearings, angular contact ball bearings, tapered roller bearings and pressure-bearings and bearing blocks and flange. NSK has a European central warehouse in Belgium. Swiss Hans Oetiker developed the ear-clip in the first part of the 20th century. The company Oetiker, which today is a multinational family-owned group, was founded in 1949. Ear clips are used in the transport sector, in the food and pharmaceutical industry, marine and offshore, electronics etc. Ortlinghaus is the leading manufacturer of technical couplings. The company was founded in 1898. Production takes place in the German Wermelskirchen (275,000 sqm) and the Swiss Gams (20,000 sqm). There are approximately 600 employees. Brd. Klee holds the Danish distribution of Ortlinghaus products. German Riegler & Co. KG was founded in Bad Urach in Southern Germany in 1936. The company has some 100 employees and supplies a wide range of pneumatic parts and fittings. Seeger is synonymous with circlip rings. 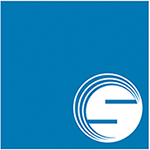 German Seeger is the leading manufacturer of circlip rings and clamping rings as well as shims and offer a very large standard program. In addition, various special designs are provided. Solcon is a leading global supplier of soft starters. The company was founded in 1977. The products are supplied to 40 countries worldwide. More than 50,000 soft starters in all shapes and sizes for pump operation, compressors, mining, oil/gas industry have been manufactured over the years. In 1962 German Stabilus as the first in the world initiated series production of gas springs. Since then more than 2.5 billion gas springs and dampers have been made by Stabilus. Annual production is approximately 135 million units. Stabilus is world leader in manufacturing of industrial an automotive gas springs and dampers. Brd. Klee is official Danish distributor of Stabilus for the industry. Brd. Klee has the exclusive distribution of flange encoders from German Ströter. Ströter was founded in Dusseldorf just after WWII. The company’s flange encoders have a compact design and can be easily and simply mounted between motor and gearbox. TECO Group started in 1956 in Taiwan as a manufacturer of electric motors. Today Teco also manufactures many other products, including inverters, which Brd. Klee distributes in Denmark. Teco has its European central warehouse in Germany. Dutch Thomas Regout was founded in 1834 and originally produced nails and rivets. Since then production has changed to include curtain rails. In the nineteen fifties the first telescopic slides were made. A recent product in the program range is the balance box, which is a wall-mounted linear device that ensures a “weightless” movement of subjects. Brd. Klee is official Danish importer and distributor of Tri-Flow lubricants. Tri-Flow is produced in England and the company is part of the US Sherwin-Williams Company. Japanese Tsubaki is global leading manufacturer of quality roller chains and conveyor chains. Tsubaki focus on customer solutions and besides industrial chains the company supply maintenance-free and FDA-approved chains. The European central warehouse is located in the Netherlands. Italian Visam is located in Modena and was founded in 1994. Visam manufactures electric vibration motors for industrial use. Originally focused on heavy duty applications especially for the mining industry, but since then Visam has used its knowledge and provides types for e.g. the plastic and chemical industries worldwide. Airtac was founded in Taiwan in 1988 and the production of pneumatic parts take place in China. In Taiwan Airtac has its own R & D center. Since 2008 Airtac has a European central warehouse in northern Italy.